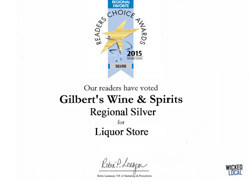 Gilbert's Wine & Spirits is Dedham's oldest liquor store. 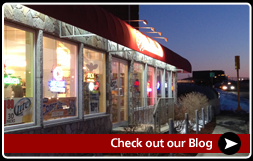 Since 1933 we have been the leading purveyor of fine Wine, Spirits, and Domestic, Imported and Craft Beers. We pride ourselves on offering outstanding products where quality vastly outshadows their price. We will gladly accommodate special orders for your specific needs. We also offer Tobacco products including Fine Cigars, as well as providing full Lottery service. Our success has always been built on our ability to form long lasting relationships with our customers. We have a great newsletter that we mail out occasionally with special shipments or events. Please email us at gilbertswineandspirits@gmail.com and we'll add you to the list! Don't worry. We won't spam you.